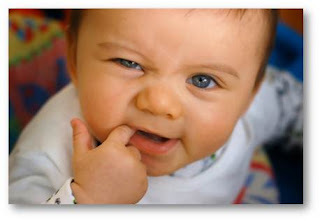 Reader question: “Morning Larks” vs. “Night Owls”: Do certain babies have a preference? Reader Question: I would love to learn more about how emerging personalities in infancy correlate with later more established adult personalities. One example I know of is that baby sleep patterns (if they are morning larks or night owls) correlate with how they sleep as adults. What a great question! 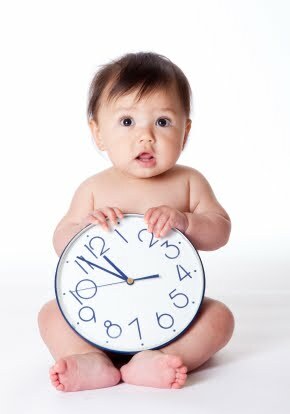 Today we will start by talking about infant sleep patterns and whether or not they are related to patterns as babies grow older. Then, in a separate post, we’ll consider other aspects of personality, such as temperament, and how they change (or don’t change) over time. Much of what we know about baby sleep patterns are based on a process that occurs over time as babies’ bodies mature and they become better able to regulate their sleep states (like light and deep sleep) themselves. In the beginning, babies’ sleep patterns are unpredictable and do not follow any particular schedule. As their bodies mature and begin to fall in line with the light/dark cycle, influenced by circadian rhythms, their sleep patterns become more consistent. During the first few months of life it might seem like your baby is a “night owl” because his body doesn’t know yet that nighttime is for sleeping and daytime is for waking. Or he might seem like a “morning person” because he is up in the very early morning hours. All of this is simply because his circadian rhythms are not established. (For a review on early infant sleep, click here.) By about 3 months of age, his body will be able to follow the light/dark cycle like the rest of us. An infant’s sleep patterns are going to look very different from an adult’s sleep patterns. Not only are adult sleep cycles longer, but adults spend more time in deep sleep. Also, children’s sleep patterns are greatly affected by their environment; changes in their routine and surroundings easily disrupt their sleep. (Meltzer & Mindell, 2006) Babies also learn over time how to self-soothe back to sleep after a night waking, whereas adults usually automatically do this. One thing that does stay consistent over time: the length of sleep (duration) that a child gets can be consistent for many years because sleep needs are biologically determined. (Largo 1984) You can try to get them to sleep longer (i.e., put them to bed earlier) but it may cause more night waking, early morning waking, or difficulty falling asleep! From the evidence we reviewed, it seems that infants do not have a “preference” for being either “night owls” or ‘morning larks” as some adults do. Though many of us will eventually develop a preference, there is a large variation of sleep times, with “morningness” and “eveningness” at each end of the spectrum. Stay tuned for part 2 when we will cover personality and temperament similarities as babies grow. Meltzer LJ, Mindell JA. Sleep and sleep disorders in children and adolescents. Psychiatr Clin North Am. 2006;29(4):1059-76. Largo RH, Hunziker UA. A developmental approach to the management of children with sleep disturbances in the first three years of life. Eur J Pediatr. 1984;142(3):170-3. Sack RL, Auckley D, Auger RR, Carskadon MA, Wright KP Jr, Vitiello MV, Zhdanova IV; American Academy of Sleep Medicine. Circadian rhythm sleep disorders: part II, advanced sleep phase disorder, delayed sleep phase disorder, free-running disorder, and irregular sleep-wake rhythm. An American Academy of Sleep Medicine review. Sleep. 2007;30(11):1484-501. We have a question for our readers. When looking at our analytics, we noticed that the most common search term (by a HUGE margin) for finding our blog is "6 week old baby" or something very close to that. Now, we are very curious. Why are so many parents searching for information about their babies at 6 weeks? We have ideas but we'd rather hear it from you. Post a comment and let us know...why 6 weeks? How about sleep with older babies? We have an 11 month old, we've never sleep trained, she's never been a great sleeper (we co-sleep). I'd like to move towards independent sleep after she turns a year but I have no idea how to implement... I feel like some of the reasons I shied away from (independent) sleeping when she was an infant aren't such a concern with a young toddler..? So what are your thoughts on sleep training for an older baby? While there is really no need to “sleep train” babies (in the popular sense of the term), even at 1 year old, we do have several great posts to help parents through this transition time. I’ll share a few key things to keep in mind, along with links to our past posts for you to read. First, babies love routines, and this reader is changing her baby’s routine by moving her baby into the baby’s own room. Any change in routine takes some adjustment time and has the potential to cause increased night waking. Creating a consistent new bedtime routine that ends in her new sleep environment is the key. For more about the importance of routines, click here. Next, some of the guidelines have changed related to crib safety. In the following post we answer a reader question about transitioning her baby into her own room to sleep. We share Recommendations for Infant Sleep Settings and Choosing a Safe Sleep Surface in part one of the post. Then in part 2 we share tips to ease the transition of baby into her own room. Lastly, there are many reasons why we don’t like sleep training, even for older babies, and truth be told, older babies may wake-up at night in their second year of life as well. For more details, click here. We think it’s most important for parents to weigh the evidence and then do what feels best for their particular baby and family, realizing this may be different from others’ choices. We hope this was helpful! Good luck and we wish all of you with 1-year-olds a very happy first birthday! Note: The original post “Reader Question: "At what age do you transition babies to sleep in their own rooms? "” published on 6/3/11 contained 2 typos. 1) The 2008 study by Hauck et al found that 29% still bed shared, meaning 71% slept in their own rooms. 2) In the text of the post we said the Burnham study was published in 2005, when it actually was published in 2002 (the reference list was correct). We apologize for the confusion. We'll be back next week with a new post! Yesterday morning on MSNBC, we noticed a segment that had aired on The Today Show about a family who was told to leave a flight after their 2-year-old threw a tantrum when she was being strapped into her seat. Apparently, she wanted to be held by her mother rather than sit in her own seat. The family had been traveling for quite awhile and toddler had missed her nap. While the details of what happened on the plane were not provided, it is likely that she was screaming and fighting while the crew were preparing for take-off and it had taken the mother some time to get the child strapped into her seat. The airline said that they had told the family to leave the plane because they had failed to comply with crew member instructions. An online poll among Today Show viewers indicated that 71% of those responding to the survey agreed with the airline's actions. As you might expect, the comments on the story are, on the whole, harsh and unsupportive of the family. The fact that this was considered national (though morning) news is a good indicator of how unusual something like this is. Not that the toddler had the tantrum but the fact that the tantrum got her family removed from a plane. This story provides another illustration of the distorted views of parenting and childhood that have become so common (at least in the media). The comments and the results of the poll made it clear that people who responded thought that lack of discipline was the problem and that the parents should have had more control over the situation. Of course, we have a different point of view. Let's look at some pertinent facts. The toddler involved is 2 years old. A 2-year-old has very little control over their emotions and if she gets overtired, overstimulated, or frightened, she is likely to have a tantrum. While some tantrums can be short and relatively low-key, others can get completely out of hand before the child settles down and all the parents can do is protect the child and others. 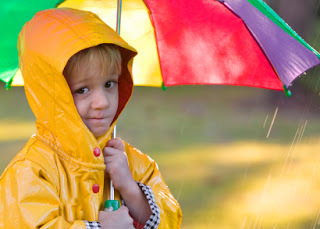 Many people believe that very young children and toddlers can control their emotions if they only try but their brains are not yet capable of dealing with strong emotions. It is not a matter of choice or discipline, its related to brain maturation. If the child had been 4 or 5, the expectation would have been different. We encourage you to read our series on tantrums (see the links below) to learn more about the research in this area. The toddler had missed her nap. Given that the parents couldn't ask the airline to schedule the plane according to their toddler's routine, it is not surprising that the child was overtired and stressed. 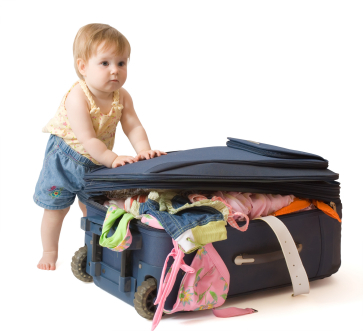 Traveling can be overwhelming for babies and overstimulation can lead to a lot of tears and difficult behavior. Parents can do a lot to reduce but not eliminate overstimulation while traveling (see the links below) and sometimes difficult behavior will result. Most of the time tantrums are short and self-limited when parents recognize what is happening. The parents did not have options typically available for dealing with tantrums. In a restaurant, most parents would take a fussy baby or toddler outside or at least hold them in their laps to limit stimulation or distract them. Getting ready for take-off, these options were not open to the parents but the 2-year-old had no way to know that. The 2-year-old had an expectation that her mother would hold her when she was distressed. At 2, children are not capable of understanding that a plane is different than a restaurant or any other place away from home. Next time, we'll share some ideas about what might have been helpful in this situation. In the meantime, let us hear from you if you have any traveling stories with your children, good or bad. I took this picture of my baby girl, Charlotte, with my phone while we were walking through the mall last weekend. About 30 seconds later, thanks to my smartphone and the mall’s free Wi-Fi, I had uploaded it to my Facebook page and shared it with all my friends and family. When I got home that afternoon, I started thinking about how much has changed since I was a child. Back then, (oh no…am I old enough to say ‘back then’?) the process of sharing photos with grandma in another city was much more complicated. You had to have film in the camera, finish the whole roll before taking it to a store to get developed, wait for the prints to be made and hope they turned out well. · Know the privacy policies. I have to admit that following this advice hasn’t always been easy for me. Privacy policies seem to be constantly changing and the idea of reading the fine print isn’t something most people have time to do. Even though it can be frustrating, knowing what businesses and providers will be doing with your personal information is important. · Check your settings. The social networking and blogging sites have various privacy settings that allow you to limit who can see what you post. By being familiar with the available settings, you can make an informed decision about how much and with whom you share your personal information. · Think before you post. Even when you are aware of the privacy policies and have gone through and chosen your ideal settings, it’s important to remember that posting things on the internet isn’t the same as having a conversation or sharing a photo album with a friend. Once it is posted, you lose a lot of control over who sees it. For example, even when your settings specify that only people you know can view your information, you have no control over what those people do with what is shared. For example, on Facebook, even when your pictures are set to be shared only with your friends, they can be downloaded and re-shared without your knowledge. The same goes for written information, like a status, email, or blog post. · Information can be taken out of context. Kids do crazy things. For example, let’s say your 2 year old crawls into the dryer and your 4 year old runs to tell you. Of course, you hurry to find out what is going on and when you see that he’s ok, you snap a picture to document how silly it is. When you post the picture of the 2 year old in the dryer with the 4 year old laughing in the background, most people will think it’s funny and many other parents will relate to how chaotic your life can be. Unfortunately, others may have a different reaction and may interpret it as bullying. While you can’t control what others think, it is important to consider how your words or pictures come across to others. I hope you find these tips useful and we'd love to hear from you about your online sharing experiences! Send us a comment! The AAP Policy Statement: Breastfeeding and the Use of Human Milk was recently released, an update of the original statement published back in 2006. Because breastfeeding provides decreased risk of many infant infections and diseases, the AAP states that the decision to breastfeed is no longer a lifestyle choice but a “critical health decision.” Benefits of breastfeeding are life-long resulting in lower obesity rates, diabetes, cardiovascular disease and cancers in adulthood. In today’s post, we’d like to share a few important points included in the new report. Exclusive breastfeeding for the first 6 months of life is recommended, followed by continued breastfeeding to 1 year or longer as decided by mother and baby. This report emphasizes that infant growth should be monitored using the World Health Organization (WHO) growth charts to avoid mislabeling breastfed infants as underweight. The WHO growth charts are based on the normal growth patterns of the breastfed baby. See if your doctor uses these new growth charts or if they use the original reference charts published by the Centers for Disease Control (CDC) (based mostly on formula fed babies’ growth). It may make a difference in how your breastfed baby’s growth pattern is assessed. Premature infants should be exclusively fed breast milk to minimize infection risk and improve neurodevelopment. Listed below are a sample of the improved health outcomes associated with breastfeeding. While it has been long known that breastfeeding mothers have decreased blood loss postpartum and faster return of the uterus to its pre-pregnancy state, more recent studies also show a decreased risk of postpartum depression and child abuse/neglect, rheumatoid arthritis, cardiovascular disease, diabetes and certain cancers. Today we have shared just a sample of what is in the full AAP policy report on breastfeeding. To view the full report, use the reference link below. There, you will also find information about maternal diet and medication use while breastfeeding, among other topics. Have a great weekend!